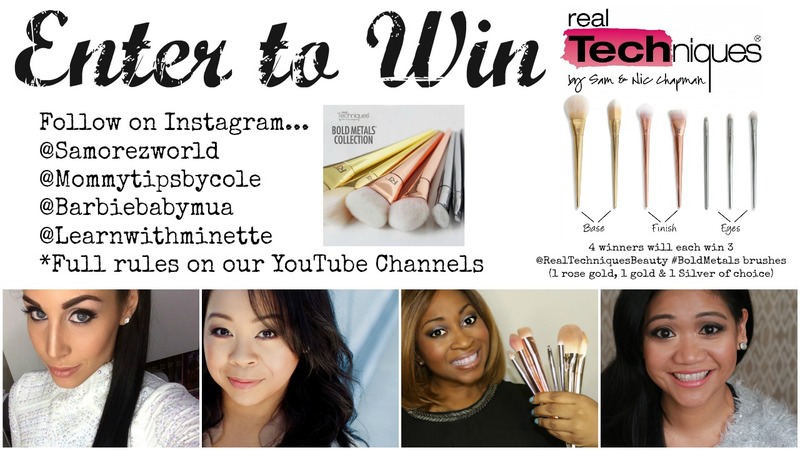 Real Techniques #BoldMetals Brushes First Impression & 4 Sets of Giveaways!!! 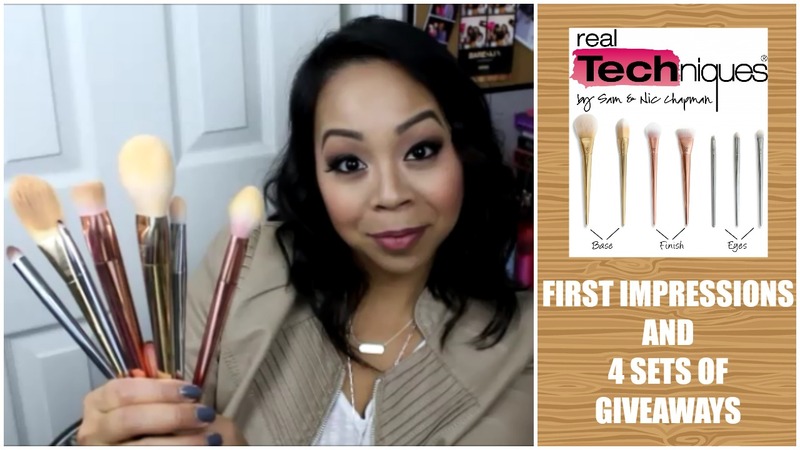 You are here: Home › Beauty › Real Techniques #BoldMetals Brushes First Impression & 4 Sets of Giveaways!!! Real Techniques is my absolutely fave brand of brushes and the fact that they are a drugstore line is a plus because of it’s affordability and function. Sam and Nic Chapman from Pixiwoo on YouTube created this brand and recently launched their latest luxury collection called the #BoldMetals line consisting of 2 Base brushes in Gold, 2 Finish brushes in Rose Gold and 3 Eye brushes in Silver. Enter the giveaway below on Rafflecopter or click here. A Mom of 4, sharing all things related to motherhood, fashion, beauty & fitness on my You Tube Channel Mommytipsbycole. Based on my personal experiences, my goal is to share information with other parents, parents-to-be and anyone planning on becoming parents in the future! As my children grow, I continue to learn more as a mother every single day. Therefore I am open to all feedback and tips that you can share as well! This is an exciting new journey for me and I thank all of my supporters from the bottom of my heart. 6 Responses to "Real Techniques #BoldMetals Brushes First Impression & 4 Sets of Giveaways!!!" Thanks for this wonderful giveaway the three brushes I would Like to win are the 200oval brush, liner brush, and 201 pointed crease brush.. never tried any of there brand good luck to everyone take care. I absolutely love all you ladies and am already subscribed to you all. I love real techniques. Love this giveaway awesome products awesome ladies. Xoxo. Yeeeeeeeeeees~I would loooove to win these beautiful brushes! I would pick #100, #201 and #301 I’ve been drooling over them online especially the rose gold #301!!! !